Man. 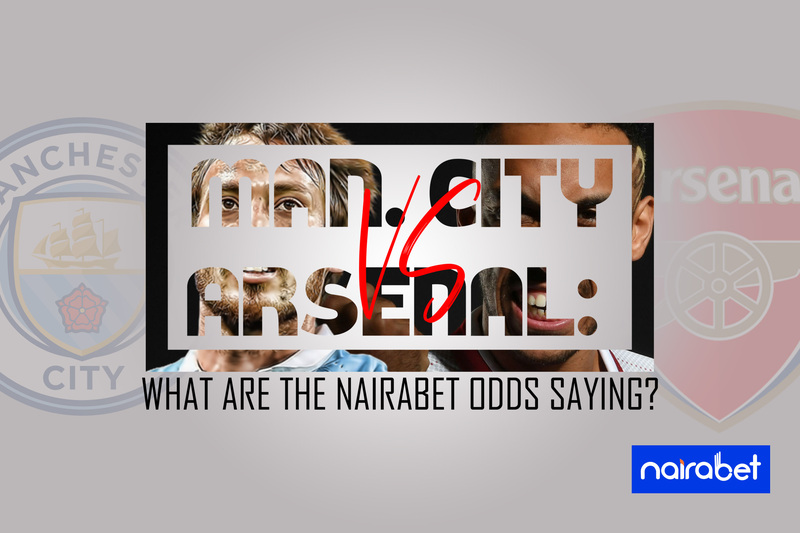 City vs. Arsenal: What Are the NairaBET Odds Saying? The Premier League took yet another dramatic turn this week with the results recorded. It is safe to say that no one saw it coming. How do you explain Chelsea, Manchester City, Liverpool and Manchester United all dropping points in one MatchDay? That’s one of the reasons why the Premier League is one of the most exciting football leagues in the world. You never can tell when the drama will happen. Speaking of drama, this weekend will feature Round 25 of PL games. Want to bet on the Premier League action this weekend? 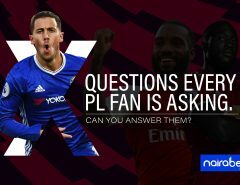 Click here to create your NairaBET account, FUND it and start winning. And the stand-out game has to be the one between Manchester City and Arsenal. For Pep Guardiola’s side, it’s all about chasing Liverpool down. The Reds gave the Citizens a lifeline with their 1-1 draw against Leicester City. Man. City will now target outscoring the Gunners in this encounter as they look to put more pressure on the Reds. Manchester City has scored at least two goals in four of their last five meetings at home against Arsenal. Man.City to score over 1,5 goals has been priced at odds of 1.27. Manchester City has lost just once at home this season. Arsenal has won just four of their away games in the league this season. This is the reason why a Manchester City to Win bet has been priced at odds of 1.32 on NairaBET. In the past five meetings between both sides at the Etihad, both teams scored in four of those games. The price for both teams to score in this fixture is 1.63. For Unai Emery’s side, they know what the battle for a top-four finish entails. Although the history is against them, they’re expected to come out guns blazing. The Gunners to defeat City may be a Herculean task. However, the Gunners to win either half should not be so hard. Arsenal to win either half on NairaBET has been priced at odds of 3.90. Click here to boost your bet slip with this selection and win some extra cash this weekend. Which of these events do you think will occur in the game? Which of these betting options will you put your money on? Leave us your comments and share your thoughts with us.